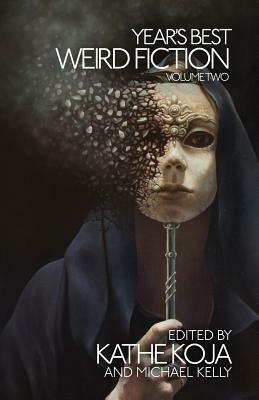 Acclaimed author Kathe Koja brings her expert eye and editorial sense to the second volume of the Year's Best Weird Fiction. Contributing authors include Julio Cortazar, Jean Muno, Karen Joy Fowler, Caitlin R. Kiernan, Nick Mamatas, Carmen Maria Machado, Nathan Ballingrud, and more. No longer the purview of esoteric readers, weird fiction is enjoying wide popularity. Chiefly derived from early 20th-century pulp fiction, its remit includes ghost stories, the strange and macabre, the supernatural, fantasy, myth, philosophical ontology, ambiguity, and a healthy helping of the outre. At its best, weird fiction is an intersecting of themes and ideas that explore and subvert the Laws of Nature. It is not confined to one genre, but is the most diverse and welcoming of all genres.